The Prime Minister added that India’s contribution to energy justice is significant.“In our success, I see hope for the world that problems of energy availability can be suitably addressed. People must have universal access to clean, affordable, sustainable and equitable supply of energy,” he added. Modi also remains hopeful the country will attract more foreign investments. “Companies like Saudi Aramco, ADNOC, TOTAL, Exxon-Mobil, BP and Shell are looking to increase their investments across the value chain,” he said in his inaugural speech. India remains an attractive market for energy companies with energy demand expected to more than double by 2040, he added. The country’s refining capacity is expected to grow further with liberalisation of the downstream sector and market driven pricing for auto fuels, the Prime Minister said. “India has the fourth largest refining capacity in the world. This will further grow by about 200 million metric tonnes by 2030,” he said. 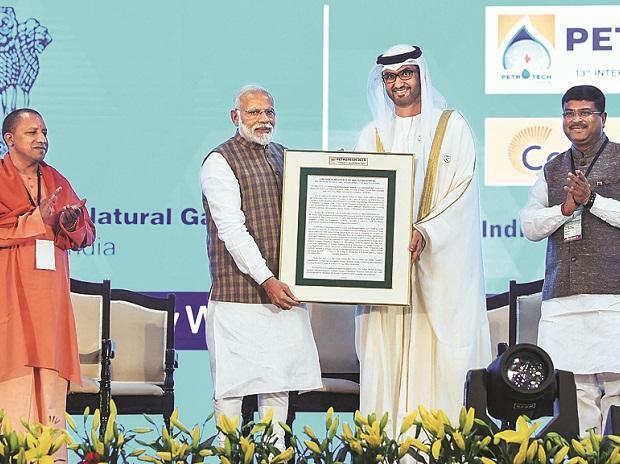 Modi highlighted the need for responsible crude oil pricing. “For too long, the world has seen crude prices on a rollercoaster. We need to move to responsible pricing, which balances the interests of both the producer and consumer. We also need to move towards transparent and flexible markets for both oil and gas,” he said. He added, energy supply, sources and consumption patterns are changing. “Perhaps, this could be a historic transition. There is a shift in energy consumption from West to East,” he said. He pointed out solar energy and renewable sources of energy have become more competitive and as substitutes for traditional energy forms. He added, natural gas is fast emerging as one of the largest fuels in the global energy mix.